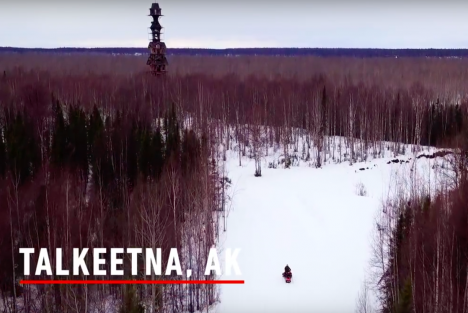 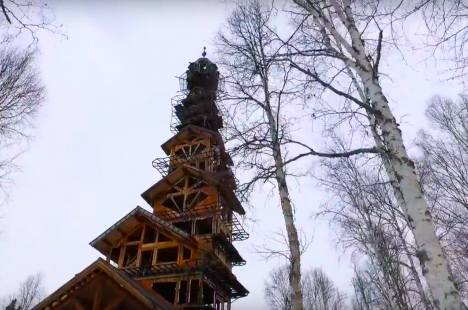 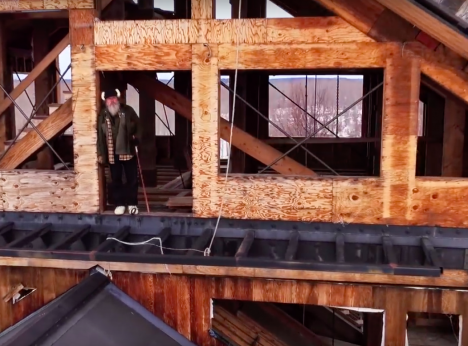 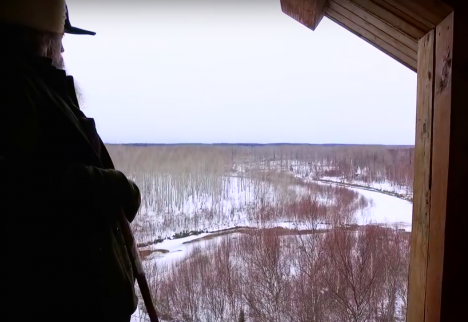 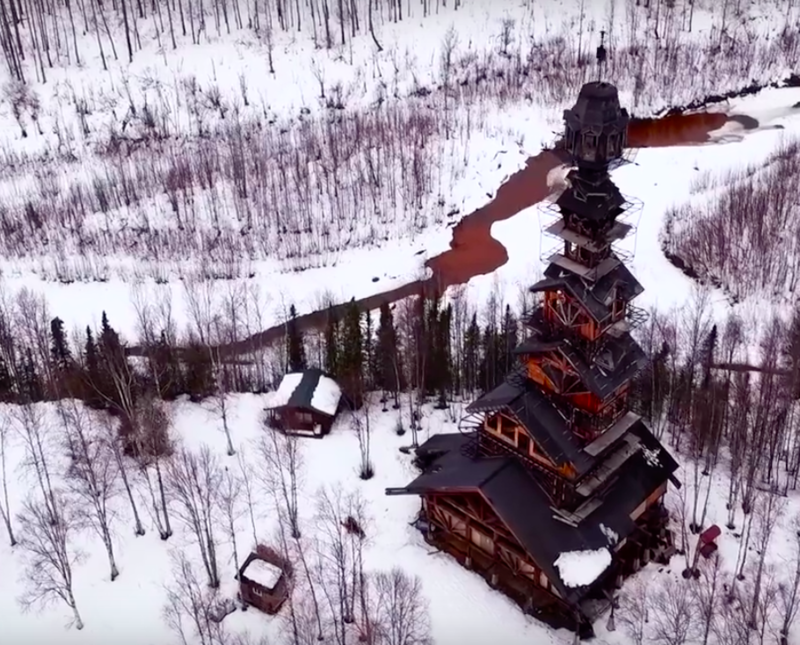 The mysterious eight-story stacked cabin house spotted among the trees in a remote area of Alaska is even cooler than previously thought, now that filmmakers have caught up to creator and self-described “frustrated architect” Phillip Weidner. 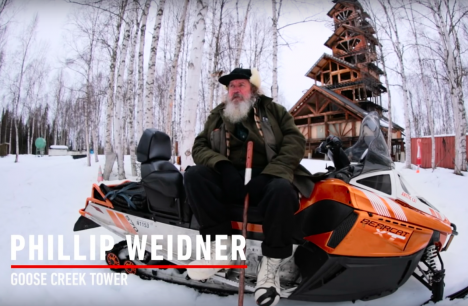 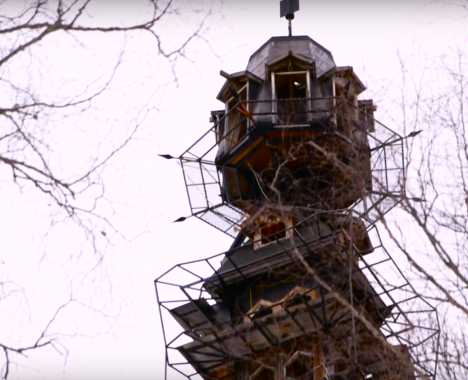 In a two-minute documentary by Great Big Story called ‘We’re Not in Whoville Anymore,’ Weidner calls his Frankenstein creation ‘Goose Creek Tower,’ and reveals his motivation for building it, along with a few of its most notable features. 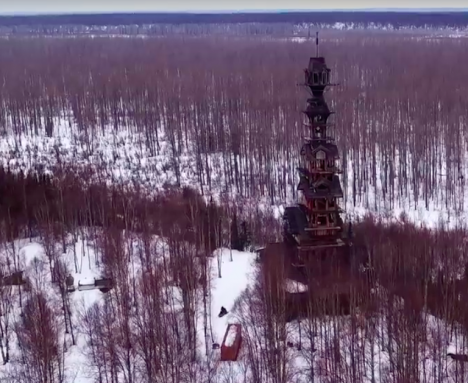 Previously, we got a look at the outside of the structure overlooking Mount McKinley and the Denali National Park via Alaska Aerial Footage, which captured a dizzying video of its full height against the snowy landscape. 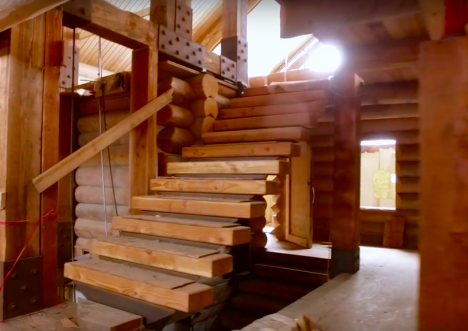 The tower remains pretty bare-bones, with all of the framing complete but no windows or finished surfaces. 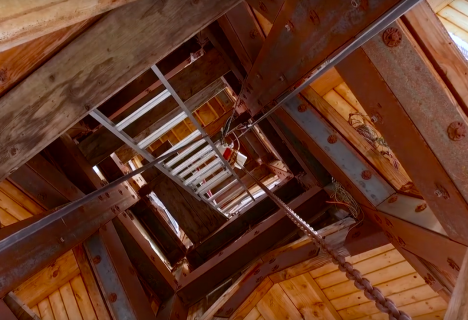 There are even more levels than you can see from the outside, as the interior winds from one split-level platform to the next. 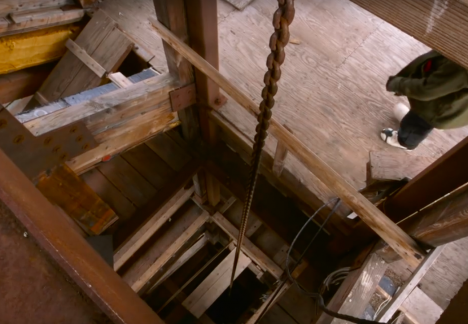 Weiner, a former attorney, reveals that a hidden escape tunnel at the basement level leads to a safe room.